The National Ranching Company Limited (NARCO) is a parastatal organization The National Ranching Company Limited (NARCO) is a parastatal organization under the Ministry of Livestock and Fisheries responsible for large scale commercial ranching in the country. The Headquarters of the Company is being relocated from Dar es Salaam to Dodoma and the transfer will be concluded before the end of February, 2019. 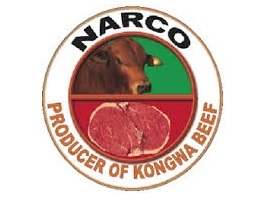 NARCO, the producers of the world-class KONGWA BEEF, has extensive investments in 8 regions of mainland Tanzania. The Company is currently undergoing rapid transformation intended to create an efficient and vibrant commercial entity that will contribute very positively to the commercial development of the country’s livestock industry. The Company is seeking to recruit dedicated and competent staff in the following senior positions. Coordinates the activities of the Procurement and Supplies Section and reports to the Finance Manager. Liaises with Ranch Managers in an effort to coordinate the activities relating to supplies. Deals with purchases of capital items. Is responsible for all matters relating to Local and International Tenders. Responsible for administering and interpreting Company’s purchasing policy of competitive prices. Makes detailed assessments of procurement dynamics of markets from time to time and provides advise to the Company through the Finance Manager. To perform any other official duties as may be assigned from time to time by one’s reporting officer. An attractive Salary in the Scale between NGSS 11/12 and fringe benefits package will be offered to the successful candidate depending on qualifications and experience. The reward package for the above positions will be commensurate with the challenge. Preference will be given to suitably qualified Tanzanians subject to meeting all requirements. Typed curriculum vitae containing details of qualifications, experience and present position. Day and evening telephone numbers, e-mail address [if any] and names of three referees including your current employer. Certified Photocopies (non-returnable) of academic, professional certificates, testimonials and other supporting documents. Qualified current NARCO employees are encouraged to apply. Writes minutes of the Board proceedings and follows up implementation of Board resolutions. Prepares files for Board meetings in liaison with heads of Departments. Makes arrangements for transport and accommodation during board meetings in liaison with administration division. Advises the General Manager on all legal aspects of the Company including contracts of all types adherence to the Company’s establishing Act and other legal matters. Makes follow up of all court cases with the Court or TLC. Registers all Company documents according to law. Head of Human Resources Management and Administration Department and responsible to the General Manager for all Human Resource Management and Administration functions of NARCO. Oversees human resource functions of recruiting, training and development, remuneration, staff welfare and labour relations’issues. Handles all the Company’s administrative and personnel affairs. Conducts periodic surveys to determine prospective Human Resource demands for the company. Plans and administers the provision and maintenance of efficient administrative services. Performs any other duties as may be directed by the General Manager. An attractive Salary in the Scale between NGSS 13 – 14 and fringe benefits package will be offered to the successful candidate depending on entry qualifications and experience. Head of Production and Operations Department and responsible to the General Manager for all Production and Operations functions of NARCO. In conjunction with the production entities, draws up production and operations plans and assists in their implementation. Prepares plans for improving production and profitability. Reviews and modifies when necessary existing production and operations plans. Monitors livestock production and operations activities and advises on suitable techniques to improve productivity. An attractive salary in the Scale between NGSS 13-14 and fringe benefits package will be offered to the successful candidate depending on entry qualifications and experience. To prepare and produce short and long term marketing plans and strategies. To develop effective advertising, promotional and publicity programmes for Company products and services. To identify areas of marketing research and prepare research intervention proposals and action plans in response to research outcome. To maintain a marketing data base for the Company and advise the Company on export markets. To develop contacts with investors and marketing project proposals to them. To conduct market research and collect marketing information. To ensure close contact with customers on marketing information. To promote the Company through media, TV and news papers. To maintain close contact with Ranch Managers on local market activities g. trade fairs and exhibition activities conducted in their regions, networking activities etc.